Viva La Vegan! - C is for Calories: Is it not enough just to eat vegan? C is for Calories: Is it not enough just to eat vegan? 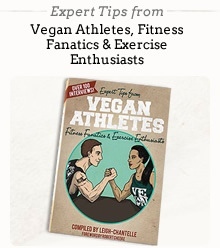 For once the question, ‘where do you get your protein’, is not completely ridiculous as it pertains to the vegan diet. A crucial link between enough calories and reaching your daily protein needs requires exploration for any vegan. Plant-based protein comes to vegans primarily through legumes and bean products such as tofu. Vegans will also source a fair amount of protein through nuts and seeds but consuming these foods heavily can lead to weight gain if not careful due to their high fat levels. It is also true that all wholefoods contain protein to some extent. These foods include grains, vegetables and fruit but high enough levels must be eaten to hit daily targets. When highly processed foods enter the diet, things can get even more confusing. For example, a day could easily contain white bread with margarine and jam for breakfast. A vegan biscuit for morning tea followed by a vegan hot dog with a white bun and vegan cheese for lunch. Let’s not forget a vegan chocolate milkshake for afternoon tea and a dinner of mock meat pie and a small serve of vegetables. This example diet is super high in refined high-sugar and high-fat foods but seriously lacking in wholefoods and thus whole proteins. A wholefood is a food eaten to its closest form. This day may look a little more like oatmeal with almonds and a little coconut yoghurt for breakfast. A morning treat of fresh fruit followed by a lunch of tofu salad with quinoa and whole vegetables. An afternoon tea snack of homemade hummus with vegetable chips (dehydrated cheesy zucchini chips anyone?) with a delicious dinner of wholefood lentil patties and a zesty fresh salad. It is obvious to see that this meal plan is the healthier option with its abundance of wholefoods. But why is it so important to eat foods this close to nature? Is it not enough just to eat vegan? A wholefood diet is perfectly balanced no matter how arranged. Wholefoods contain their own perfect synergy of vitamins, minerals and macronutrients (protein, fat and carbohydrates) that allow their simple digestion, assimilation and maintained energy release. The do not take anything away from the body like their refined counterparts which can strip out systems of essential nutrients just to whether their digestion. Not only this, but wholefoods add to our systems, providing energy, immunity, mood support and vitality to every areas of our health. But back to calories. If you eat enough of anything you will get enough protein to sustain you but it will not be healthy. You can eat a 5000 calorie a day junk food vegan diet and hit your protein needs but man will you be very unhealthy. On the flipside if you eat only 1200 or 1500 calories a day of a wholefood vegan diet you will start to miss out on essential nutrients. A vegan diet is based in wholefoods and this is what gets its praises for being so healthy. Sure it is fun to have vegan cupcakes for a treat because they are vegan but if you are eating them every day rather than fruit you will start to run off course. Depriving yourself of enough protein, or fat or carbohydrates for that matter will lead to cravings for this particular food. If you deprive carbohydrates you will crave first fruits, then breads then just any sugary food you can get your hands on. Same with fat, first it will be nuts (or most popular nut butters), then chocolates then anything fried you can get your hands on. Lastly, protein, this is where it can get emotional as people find themselves craving the very animal products they forsook, and all because they are simply hungry. Amazingly this can disappear within a week simply by adding in more of what your system needs. Some tofu, some legumes, some nuts and seeds, even a great vegan protein smoothie can help pull you through this rut. A healthy vegan diet is based primarily on wholefoods with approximately 1800 to 2000 calories a day for adults. Experiment for yourself and see how you can play with your ratios of macronutrients and how many calories you need to be a happy, healthy, vibrant and shining example of vegan health. Holly George is a Bachelor qualified Naturopath in Brisbane, Australia. Specialising in Vegetarian, Vegan and Raw food diets, Holly draws upon 15 years personal experience in the field of natural therapies. Combining her extensive experience, passion for health and high level qualification, you are in good hands.